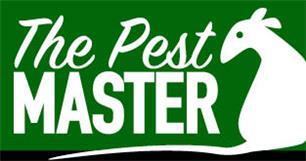 Welcome to The Pest Master – Pest Control Services. We are a family run business that have been servicing Derbyshire for over 10yrs, specialising in both Commercial and Domestic pest control. We are fully insured and fully committed. Our priority is to solve your pest problem as quickly and cost effectively as possible, using the latest treatments and technology. We are extremely proud to be part of Checkatrade in which our work is regularly monitored and checked, our response times, punctuality, cleanliness and professionalism are regularly inspected, so you can trust that you are employing a company with high standards. We can offer a variety of different treatment packages based on your needs, this can include a one off visit or a tailor made service contract. We provide a pest proofing service where possible, and advice on food storage and hygiene requirements. We can also help with monitoring of pests using non-toxic methods to establish whether you have a pest problem or not. Here at The Pest Master we offer the use of an industrial strength disinfectant, following rodent treatments. Our disinfectant treatment is used throughout your property using an Exodus Fumigation machine. This treatment uses liquid biocide for space-spray (ULV) application. Effective against bacteria, viruses and fungi. Specially formulated for use in human dwelling situations where rodent infestations have been present and pose a risk.Sanitisation in terms of disinfection is extremely important following any rodent infestation in order to protect human health by controlling rodent-borne diseases, such as Leptospriosis, Hantavirus, E. coli and Salmonella spp. The Pest Master also offers a steam cleaning service. A non-chemical, non-contact, eco-friendly solution for the elimination of germs. Steam cleaning kills 99.99% of bacteria and doesn’t require the use of toxic and potentially harmful chemicals such as bleach or ammonia. Only heat and water are used, meaning your house remains free from chemical residue and pollution. Ideal for use as part of the sanitisation process. 100% Guaranteed Wasp Nest Treatment. Fixed Price with NO hidden extras. To discuss your pest requirements you can email us at [email protected] or please call so we can be of help on 07583 124215.